Getting the best performance out of a cultivator requires a keen eye on maintenance, particularly where wearing metal is concerned, Alex Heath got some expert advice on Vaderstad’s popular TopDown 400. 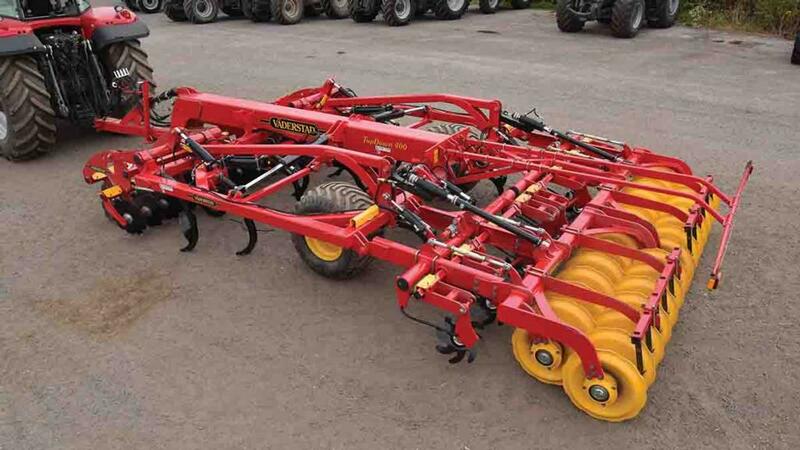 Vaderstad’s TopDown cultivator has found favour with many arable operations across the country. Many see it as the go to min-till cultivator, as it offers flexibility and robustness, which has endured in a competitive market place since its inception in 2004. Working widths in the UK include three-metre rigid and four to seven-metre folding. A nine-metre model is available, but not offered in the UK as the transport width is five metres. The TopDown’s main selling point, according to Andrew Gamble, Vaderstad’s marketing manager, is its low cost of ownership.“This is evident in the design of all soil engaging components, build quality and residual value,” he says. Comprising of discs, tines and a roller, every working zone can be individually altered to suit the working environment or job. Each zone can be taken out of work and any combination of zones can be used, leading to a flexible cultivator which can be used in most min-till situations. 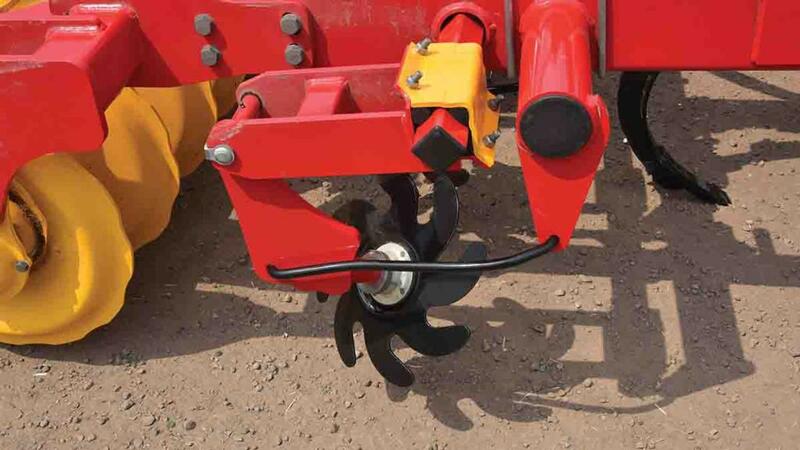 The other vital component of the TopDown’s versatility is the extensive range of points and wearing parts Vaderstad has developed to suit every scenario. The TopDown is said to work best at speeds of 10-15 kph, depending on conditions. To get this speed, 60hp per metre is recommended says Mr Gamble. He explains what to look out for and areas of maintenance a four-metre model, ideal for 1,000 hectares, would need throughout the year. Spaced 12.5cm apart, each disc is mounted on its own arm limiting stress and give individual shock protection, provided by four rubber bars which compress when an obstacle is hit. Mr Gamble says these very rarely need replacing. If something particularly large is encountered, the bolts holding the individual unit onto the main beam will shear off. Maintenance-free bearings, on which the discs are bolted onto, are double sealed and never require greasing. 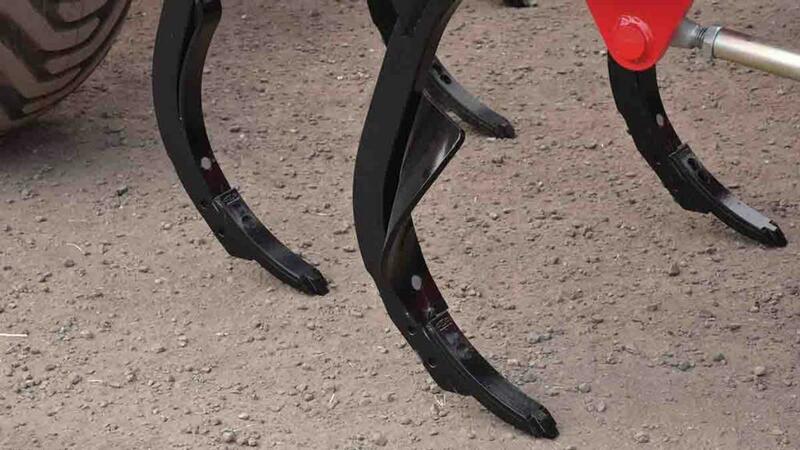 Vaderstad has developed a conical shaped disc which is said to wear more evenly, keeping the serrations more pronounced for longer. Multiple disc options allow for different levels of chopping and mixing. Discs should be replaced when 15 per cent of the diameter is worn, to maintain optimal working depth, typically after 4,500 ha of work on a four-metre model. Legs are spaced at 27cm in four rows and are protected as standard with hydraulic reset. 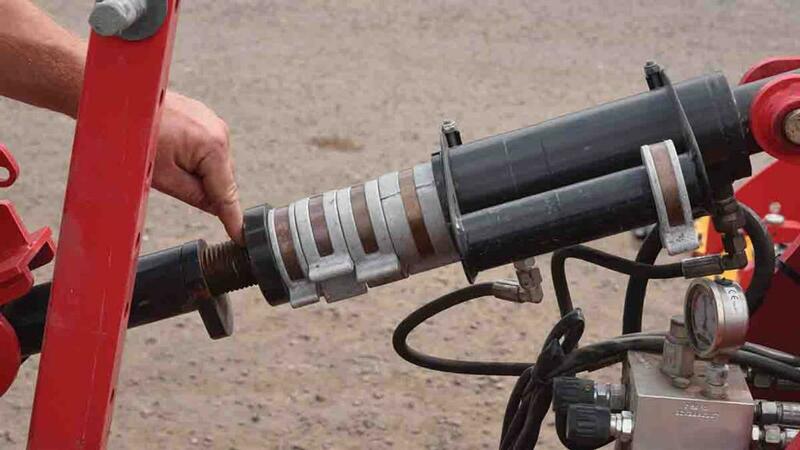 Wear can occur around the areas which attach the reset actuators to the leg and around the pivot point that attaches the leg to the frame, which needs to be greased. Hydraulic pressure for the leg trip is adjusted at the front on the machine, with a dial showing the pressure. The accumulator which stores the pressure is unlikely to fail but should be checked yearly. Between 400 and 700kg of trip force can be selected. The tine system is modular, so any combination of points, wings and shins can be used. Mr Gamble says farmers should seriously consider its tungsten-tipped Marathon points, as up to five times more area could be covered compared to standard points, resulting in less down time changing points. Perhaps more importantly, consistency of cultivations is maintained for a longer period, as well as reducing fuel use as the points are still working in the optimal plane. The latest option on points is its new BreakMix, designed for shallow working and features a narrow point to break compaction, and a wide top for mixing. Levelling discs situated behind the legs are equipped with the same bearings as the front discs, offering maintenance-free service. 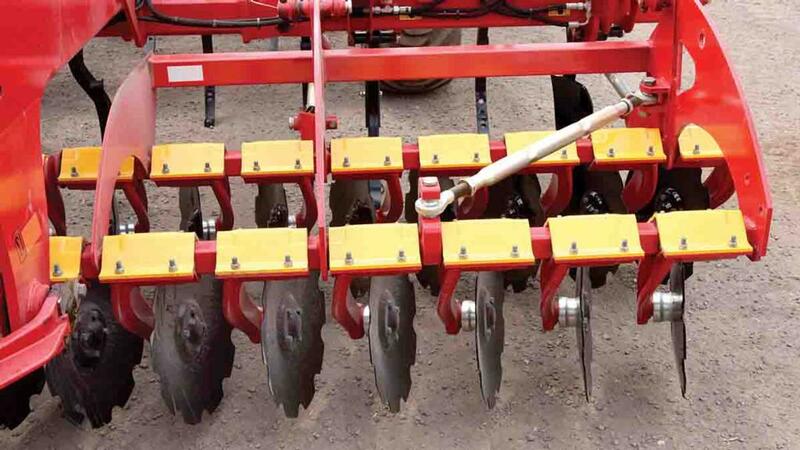 There are three packer options on the TopDown, the most popular and aggressive being the manufacturer’s double SteelRunner, effective for breaking down clods and consolidating the seedbed, to preserve moisture. To make a looser, more open surface suitable for over wintering, the machine can be run on its wheels with the packer in float mode. Height of the machine can be altered on the wheels by adjusting the stop on the wheels or adding stop clips on the packer lift ram. The packer can be removed if needed. The packer features greaseable bearings that sit in rubber suspension units. Older packer rolls are spring-loaded to hold the rings in place, however new ones are not, making it easier to replace worn rings or bearings. Greasing for all grease points is once every 300ha, but attention should focus on the folding pivots, as there are no bushes, just grease keeping the metal apart. As far as the frame is concerned, cracking is virtually non-existent, says Mr Gamble. On the six and seven-metre machines, wheels are standard on the outsides of the wings to stop the machine flexing while working. Mr Gamble says that Vaderstad are committed to the longevity of their machines. With this in mind, shims can be added to the rams which fold the wings down, rather than having to replace components. Setting the machine up, the main frame beam should be level from front to back. When coupled up to the tractor, working depth should be set, then the drawbar and packer can be altered to make sure the frame is level. When attaching to a different tractor which might have a different hitch height, a threaded ram on the drawbar can be adjusted, instead of having to add more stop clips.